Through education, the Quicken Trust is giving hundreds of children in the Ugandan village of Kabubbu the chance to escape grinding poverty. Providing a secondary education at the Trust High School means some are now achieving what was once an impossible dream – a place at university. (Higher Education) For others, it’s a route to vocational training, a job and an income. (Vocational Training) Over 80 Kabubbu students are regularly in further education. 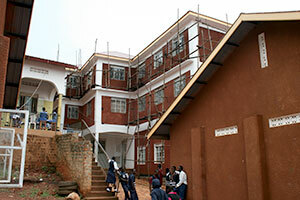 Most of the children are day pupils but almost half are boarders who stay in dormitories built on the school site. The boarders come because the school quickly established high educational standards. The income generated by their fees is crucial to the aim of making Kabubbu self-sustaining in the future. Trust High School teachers have come to two schools in East Sussex – Mayfield C of E Primary and Heathfield Community College – under a swap scheme organised through the British Council’s Global School Partnership. Several other schools have taken groups of students to Kabubbu to help with projects. These include Bede’s; St Catherine’s College, Willingdon Community School and Ratton in Eastbourne; Hillview School for Girls; Burgess Hill School for Girls; Ark William Parker Academy, Hastings and Uplands Community College, Wadhurst. Students from Kabubbu have been awarded scholarships to Bede’s and Pestalozzi International Village, Seddlescombe. The swaps broaden skills, knowledge and cultural awareness. Children in Kabubbu appreciate the value of the education now on offer. Across the country only 14% of students complete their education. In Kabubbu that figure is 89%. 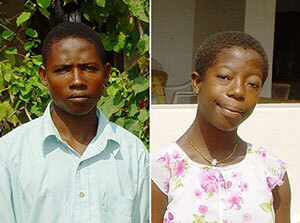 When Alice, 16, was told she had sponsorship to go to secondary school, she said: “This is the happiest day of my life. I cannot believe that I have been chosen for a free education.” Fred, 19, who was also selected said: “This is a wonderful opportunity that will change my life”. Academic success is encouraged but the school offers plenty of extra-curricular activities too. These include music, drama, debating and entrepreneurship clubs and, of course, sports. The school is fast building a good reputation. 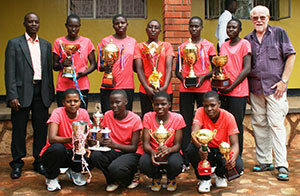 The girls Volleyball team were national champions in 2011, 2012, 2013 and 2014, and have represented Uganda in the East Africa finals.